Precious Pages by Paula: CYAO TIME AGAIN! I ended up going with a background page which I dry embossed, a 1" thick ribbon and I added glossy accents covering the circle that my sentiment is stamped on. 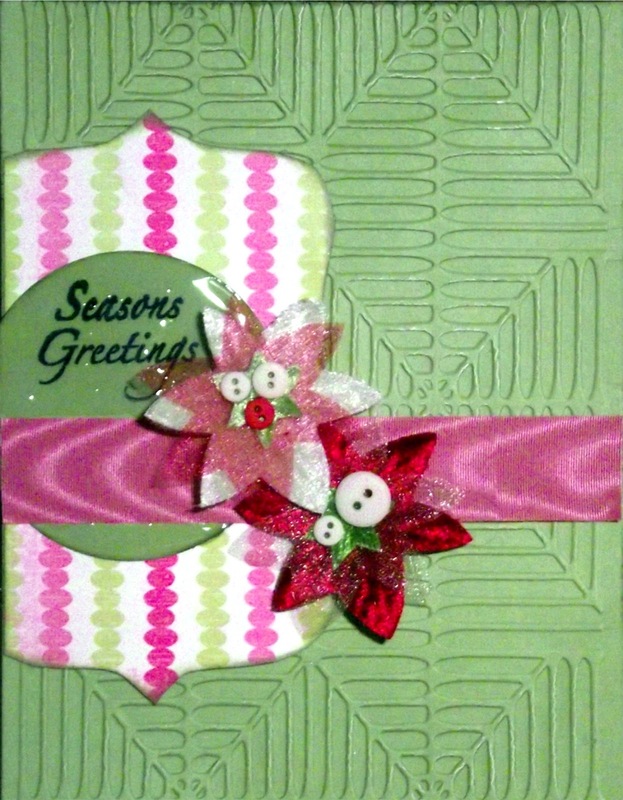 In addition to the requirements there is some patterned paper and 2 poinsettias. Hope that you have enjoyed this peek at another of my seasonal cards.